Countdown is on. We are at T minus 14 days? Wow 14 days sitting here on July 2nd that might as well be tomorrow with this whirlwind passing of time. Friday is my last day at work. I have been training my replacement and it’s weird because you don’t realize how possessive you are of this daily task you’ve had until you are training someone else. Luckily I feel my predecessor is not only qualified but a good fit too. What will my daily routine look like after Friday? Used to be wake up, MAYBE workout, Starbucks, lunch, decide on dinner, grocery store, home chill with my guy. Will I have a routine. What will that look like. Are dreads in my future I dunno. People ask what will you miss the most – well aside from the obvi friends and family that would be not knowing where everything is in the grocery store and my beautiful collection of spices. That’s where my mindset is sitting here on July 2nd. It will change undoubtedly. This undertaking may just be too much for my faculties to process at this time. Our journey has come to what I like to refer to as a “PLOT TWIST”! Here’s the DL on that. The BVI boat we bought isn’t going to be ready until Sept/Oct ish. Ya ish. IF they accept our counter offer. I know boo freaking hoo right? There are a lot of unknowns here so now we are into the Plan A, Plan B scenarios. 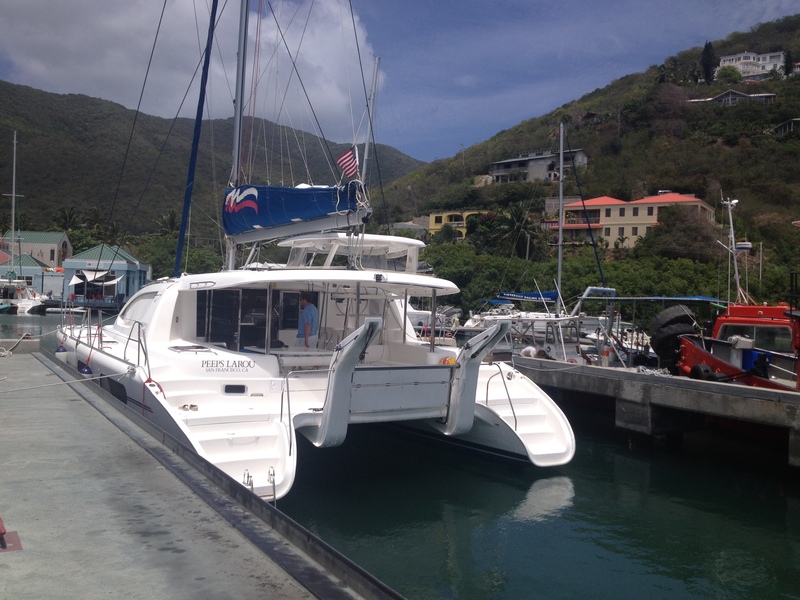 Ultimately if the boat stands up to the one in BVI and the price is right it’s a no brainer. If not…ummm theres always Plan A and B. House closes on July 15th so it’s go time one way or the other. Everything is sold or given away. It’s go somewhere time and we intend on pushing forward. In 2 days I don’t have a phone (for now). It’s a weird feeling – how will I check Twitter and FB! I will be like a balloon floating up towards the sky, not grounded or should I say knot anchored?? Hmmmm. I will be following your trip……take me with you!!!! !